Yes I’ve bought two shirts from them recently and they’re both very good shirts. I’ll buy a few more in the next couple of days. I tried their offer that was included with the Royalauto magazine and now I’m getting catalogues in the mail every few weeks. It must cost them a fortune in printing. My reluctance to buy things on line is that they can be delivered when no one is home and you get a card telling you to pick up in business hours. Great! I work in town. How do you manage that? Roger, grab youself a parcel locker. Plenty of locker sites in Melbourne CBD. Daniel, thanks for the review, I have been humming and hawing about whether to buy from, but now will give them a go. Marks & Spencer is probably the most affordable English clothing label as it is free delivery for orders over £30 to Australia. The Gloweave factory outlet on Smith St. Collingwood is quite good as well for price, if you did not know about it. I am amazed that neither Fiji, Bangladesh, Thailand or Guatemala are on that list. If you want to stop the advertising, tell them to stop. A company in Australia using your details for marketing after you have asked them to stop is breaking the law. I said luv, I said, pet. A Jermyn Street tailor is all very well to supply your shirts , but sadly two days later a supplement appeared in the RACV mag. Riches and class to rags in one fell swoop. 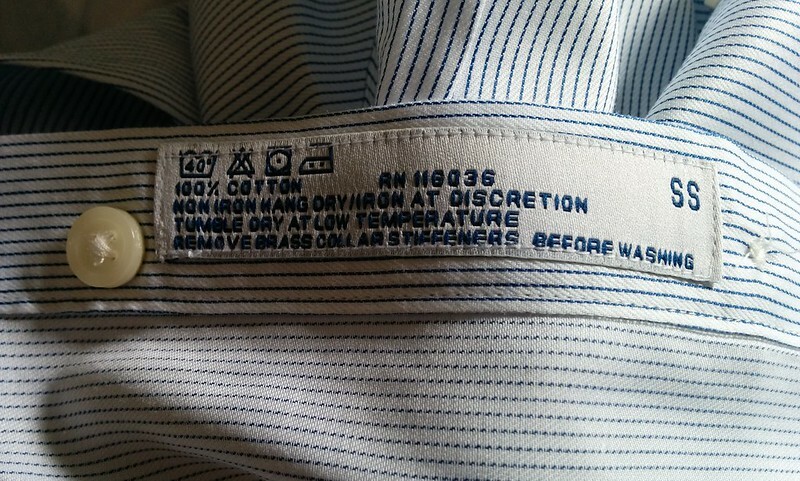 PS If I needed a business shirt, I may have been tempered. Surprisingly there does not seem to be a tailoring shop here which measures you and then gets your shirt made in Thailand. And then ships them over direct to your house.